Backyard ideas for the ultimate outdoor space. Do you experience backyard envy when your friends invite you for a summer party? A backyard is a space to eat a meal with family in the sun or host the ultimate summer BBQ bash. It is a space to watch your children play and grow. No matter the size of your backyard or your renovation budget, there are ways to work with the space you have, to create your desired atmosphere. We have compiled this guide of backyard ideas to provide you with inspiration for designing a backyard to suit your lifestyle and aesthetic. Time to start reading and get those gears turning! If the grading or structure of your backyard is working against your plan for a better backyard, the first step is to landscape it to your liking. 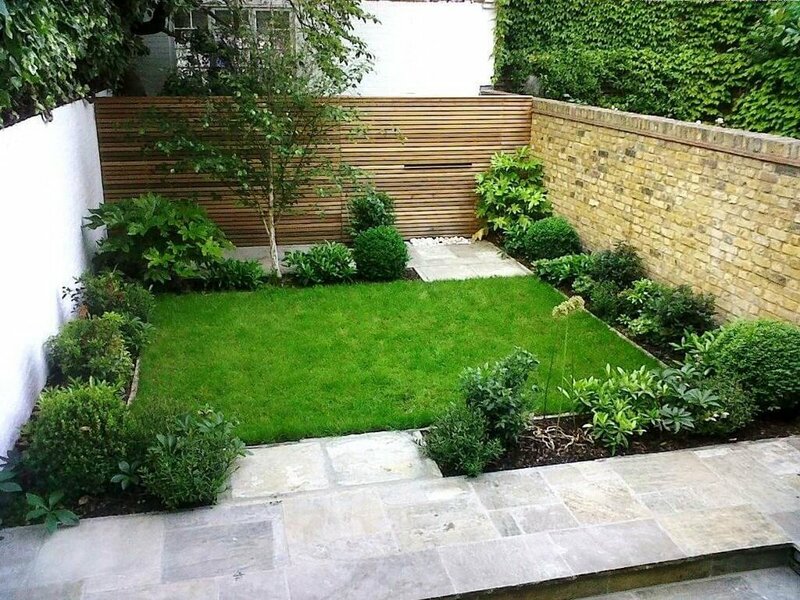 If you have a green thumb, you will want to ensure you have ample space to garden. Patches of soil can be dug out and enriched with compost or planting soil to create a healthy gardening patch. You can also choose to build a raised planter bed to plant a garden in any section of your yard. 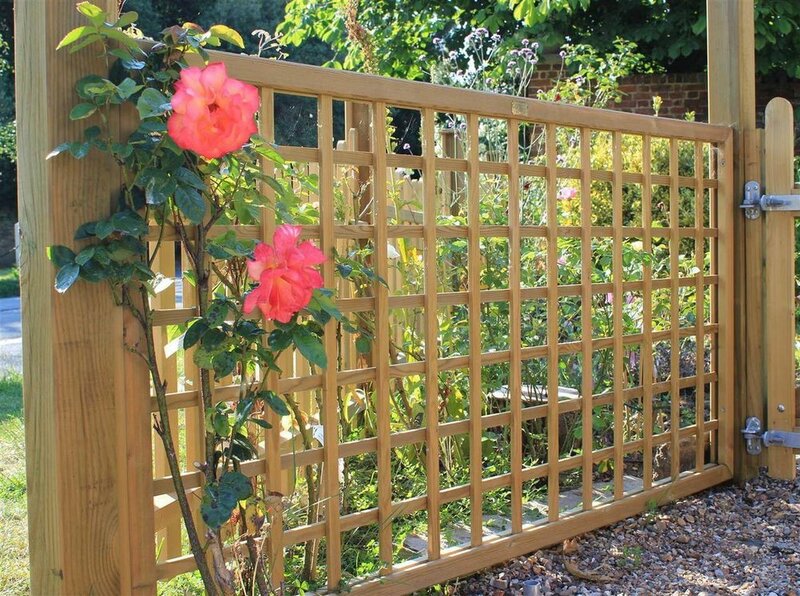 Adding a trellis to your garden is an inexpensive way to add a vibrant, organic element to any size of backyard. Use it to grow some flowering vines for colour, or plant vegetables such as beans, peas or cucumbers. Placing a stone or brick path that leads from one area of your backyard to another is an elegant touch in any yard and prevents grassy feet. A path can be created with uniform, interlocked stone for a polished look, or you can achieve a more organic look by utilizing random flagstone. 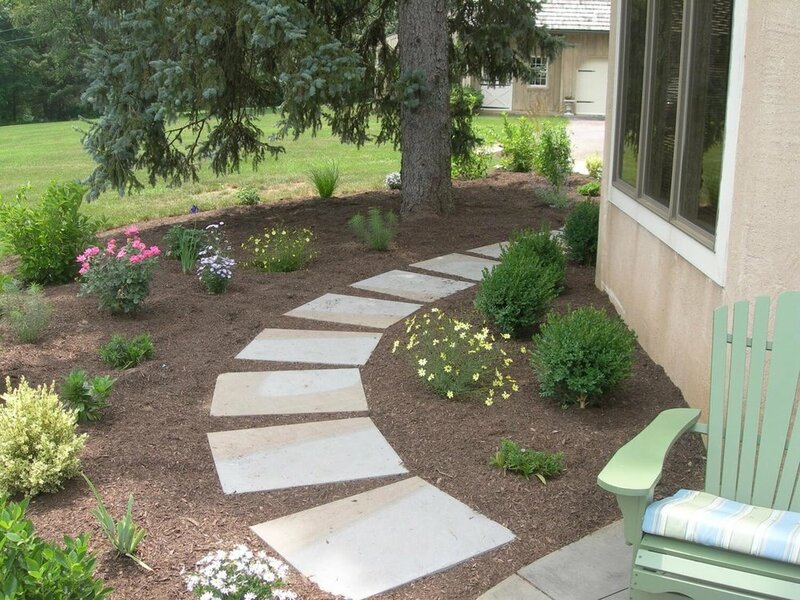 A walkway can also be lined on the sides with mulch to add plants and flowers. If you have a lot of space to work with and a naturally sloped back lawn, you might consider terracing for a garden or to offset the different functions of your yard. Having a terraced garden helps prevent erosion of the healthy nutrients in your soil. With levels, you can play with adding stone walls or designing patios in different areas of your lawn. If your space allows it, you can also look into establishing a foundation for a gazebo or backyard shed. A well-designed lounging, hosting and dining area should be the main focus of any backyard design. No matter what size your yard is, there are ways you can transform an otherwise uninspiring plot into a pleasing, functional space. Before you design, you must establish your priorities: Are you planning to host a lot of backyard parties? Intimate family dinners? Space for your children to play? Or use it primarily for relaxation and reflection? With these priorities worked out you will have a better idea of how to utilize the space and budget available for your project. Having a deck allows you to design areas at various heights in your backyard and work with uneven ground. In a home where accessibility is a must, it also provides a level exit to the backyard when the back door is higher than the ground. Your first big decision is what material to build your deck out of. Pressure-Treated Lumber: Can be cheaper than natural wood options, but if you don’t use premium lumber this can be prone to warping. It has a longer life than cedar. Cedar: This softwood is a relatively inexpensive option and provides a natural and clean look. It resists warping, but as a softwood, it can be damaged by heavy furniture and needs to be regularly maintained and refinished. IPE: This exotic hardwood (pronounced ee-pay) is rot and decay resistant and provides a beautiful, natural grain. This is one of the more expensive deck material options. Composite: This expensive material made of compressed recycled plastic combined with wood chips or sawdust is also maintenance and defect free. Some people don’t like the feel of it on their feet, but it will last you a lifetime. The shape of your deck need not be a simple rectangle. Working with expressive or geometric angles not only draws the eye but also can leave extra room for the organic elements of your yard. If you have space, you can build additional fixtures such as benches or a flower box. You can make your deck more unique by building a multi-level deck to separate dining, lounging and entertaining areas. Adding a permanent shade structure such as a pergola is great for both relaxing on sunny days and for the grill master. Urban yards which are often slim can use multiple decks with stairs between to create terraced levels and maximize your limited outdoor space. Staining or painting your deck in unique colours can add a lasting impression. If you are feeling particularly ambitious, you can even build your deck with room to hang a hammock for those lazy summer days. If your backyard is large enough, you may end up including a patio in your backyard design as well. Mixing materials in your backyard and creating spaces at different heights is a great way to separate sections and create layered elegance. Stone and brick patios offer a clean, structured area to accent the natural scenery of your yard. It is a great option to work with when your yard is flat and you don’t want to deal with the hassle of the inevitable decay and maintenance that comes with wood decks. They also allow you to play with different textures and colours. Patio flooring materials come in various shapes, colours and textures to achieve the look and feel you are aiming for. Concrete: Concrete is a cost-effective way to create a flat patio or tiles of any shape. Not only is it durable, but it can also be finished in several different textures. Brick: Creates a rustic look over time as it slowly flakes apart with the freeze thaw cycle. Pavers: Pavers are uniform concrete blocks with unique shapes and colours that are meant to be creatively used for patios. Flagstone: These irregularly shaped stones will add an organic look to your patio floor. Cut Stone: Real stone that is cut into uniform square or rectangular shapes. You can use mixed materials in different areas of the patio to create a colour scheme. Many patio materials and their various colours complement each other well, and you can play with different patterns and shapes for a geometric highlight. A patio that extends right from the house or a terraced patio can also benefit from stone or brick steps in a different colour to add embellishments to the project. Along with an area for grilling, you can maximize your hosting ability by building a stonework bar counter, or maybe even an outdoor kitchen area. Proper lighting is key to nighttime backyard hosting. For a small backyard, the lights off the back of your house along with a couple solar-charged lamps or lanterns might do the trick. Developing a lighting scheme, however, can also evoke a mood that harsh safety lighting cannot. You can wire your backyard lights to be toggled by switches in your home, and conserve power by only turning on the lights that you are using. String lights are not only an effective way to light a space, but they also evoke the imagery of stars or fireflies. You can drape them over a patio or deck, on top of a pergola, or wrap them around a tree in your yard. Lanterns cast a strong, warm 360-degree glow and can be made of coloured-glass or canvas to add mood lighting from across the spectrum. Chinese lanterns can be strung over your yard like string lighting, or heavier hanging lanterns can be attached to a pergola or other structure. Ground lanterns can also be used to line the side of a staircase, or in areas of your yard that would benefit from strong, bright lighting. The wonderful thing about lanterns is that there are different varieties to suit any taste. Moroccan or Victorian lanterns can evoke a feeling of far off places, while minimalist lanterns add a clean, functional look to your yard. Uplighting highlights elements of your yard and adds depth to features or boundaries. You can also use uplighting to light pathways around your yard. Spotlighting and flood lighting project focused beams and are ideal for casting a light on the side of the home or accent areas of your yard. Wash lamps can provide accents to the lower part of an outdoor feature or a portion of your homes exterior wall. Well lamps built into the ground can also provide accents or give an exciting outline to garden pathways. Finally, consider adding some artistic or natural centrepieces to your backyard for that extra wow factor. 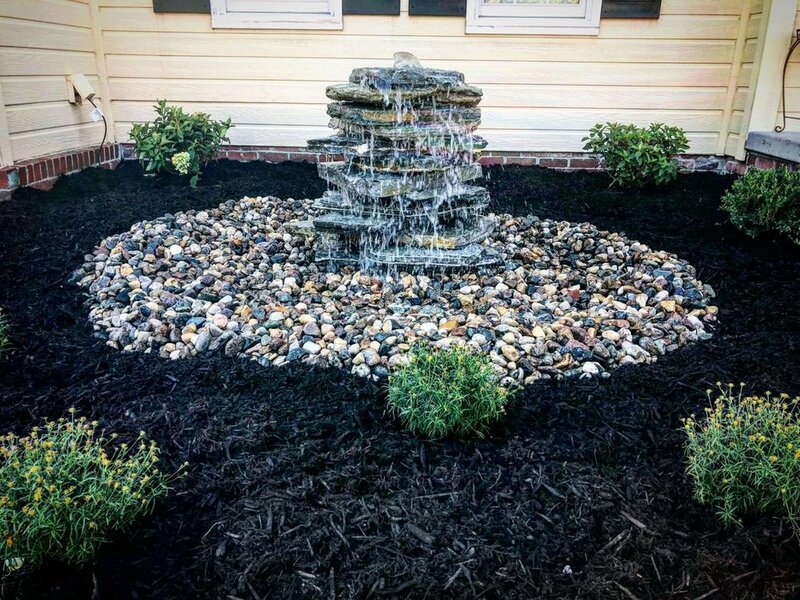 Water features add an element of tranquility. You can meditate to the gentle trickle of a simple waterfall or fountain or have a quiet conversation next to a pond with a statue. For the bird lovers, consider saving space for a mega bird feeder to attract feathered friends to your backyard. Just be wary of squirrels. For the audiophiles, you can install an outdoor sound system to ensure your yard is enveloped by high-fidelity surround sound when you have guests over. Outdoor speakers come in all shapes and sizes, including rock-shaped to accent your garden. Last but not least, your kids and their friends will be thrilled when you install a custom-built playground that is tailor-made to fit the yard. If your space doesn’t warrant an entire playground, a swing or two is a great place to have fun or sit and read a book. If you are itching to get your backyard ready for summer and live in the Greater Toronto Area, connect with the backyard design experts at Bryant Renovations. Our designers and contractors work together across your entire project to ensure your vision comes to life with nothing lost in translation. 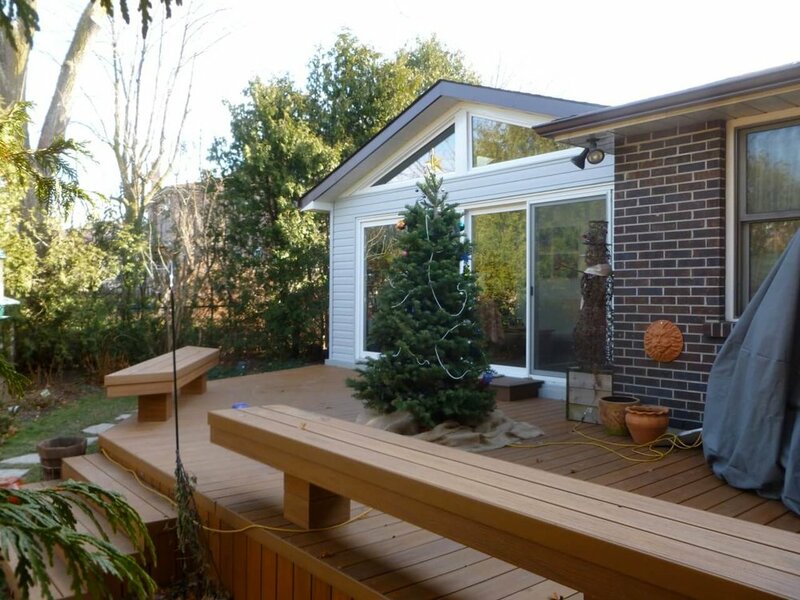 We’ve been helping Toronto build better backyards since 1986 and would love to help you realize your backyard vision.